Flipkart is adding new pinch to Indian life everyday and now it will begin on 15 December 2017. So, the double dhamaka is here. Get 10% discount from HDFC bank and extra up to 10% rewards from klippd. 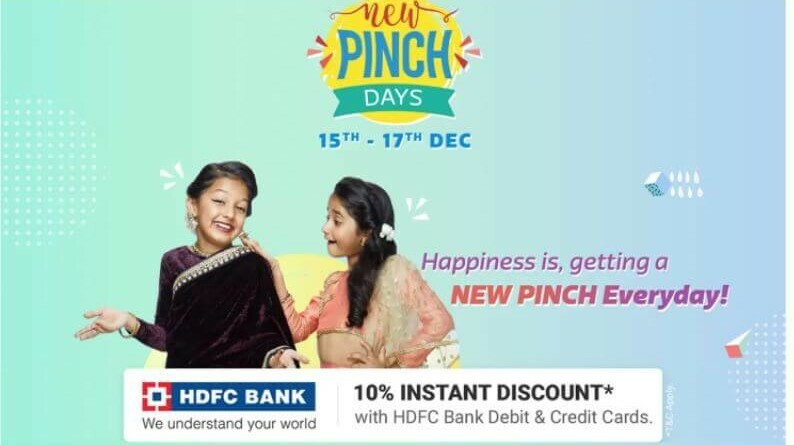 Its look like it will be a three way party with flipkart offering products at the best of prices and the extra discounts from HDFC Bank credit card and HDFC Bank debit card plus one should not forget about the extra 10% rewards users will get from klippd. So do not wait, hop on, get your flipkart shopping list ready.